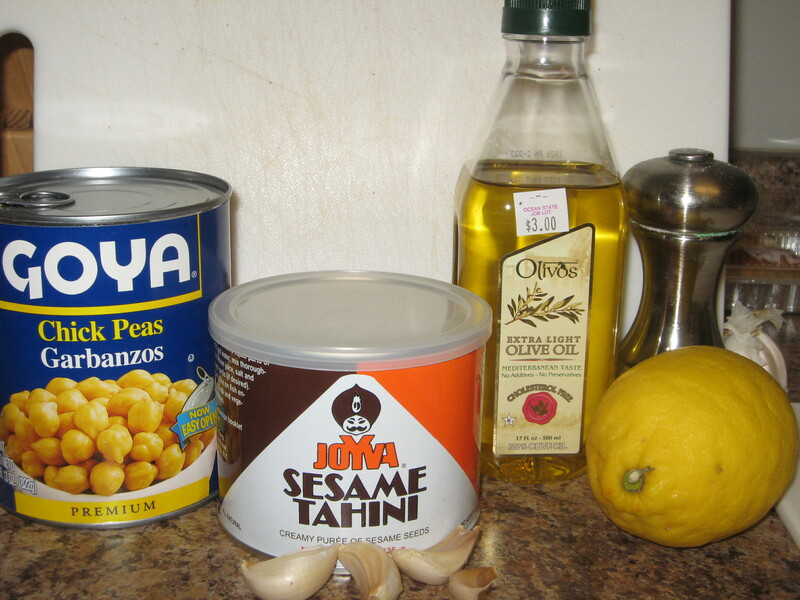 2/3 cup tahini (sesame paste), you can usually find it wherever the peanut butter is or in a Middle Eastern food store. You can also make it if you’re feeling daring. Mash the garlic cloves and cut them up into tiny pieces. 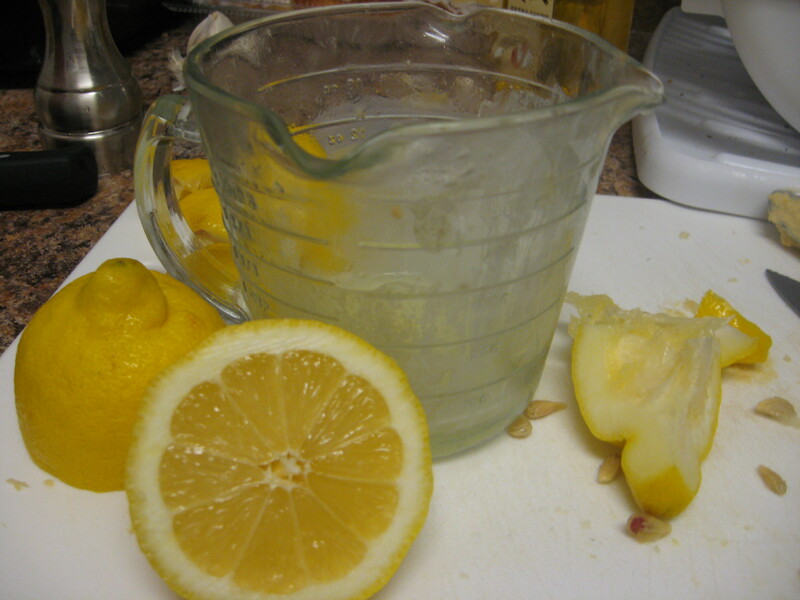 Cut and squeeze the lemons into a measuring cup until you get 1/3 cup of juice. This is probably the most time-consuming step. Combine the garlic, beans, tahini, water, olive oil and lemon juice in a blender or food processor and process until smooth. This part sounds pretty easy, but it actually took me awhile to blend the chickpeas and then everything else together, plus it’s a pain to clean the blender afterward. 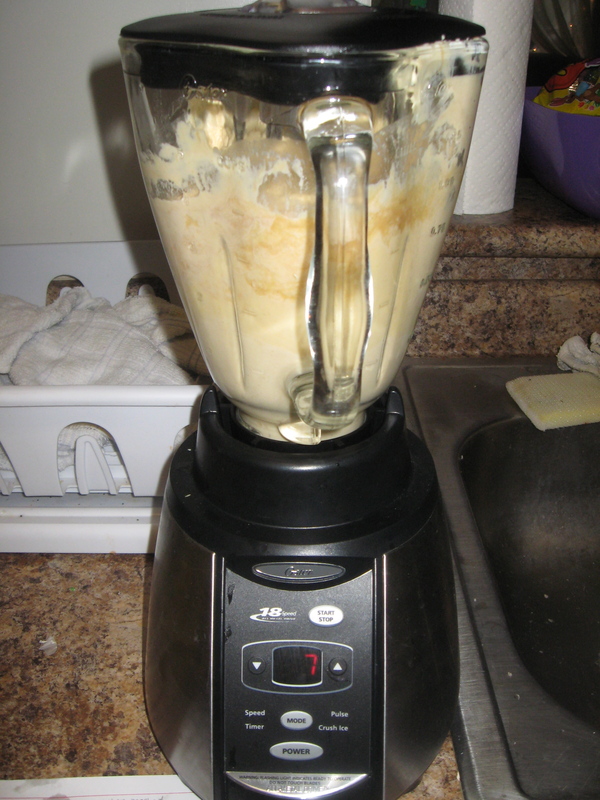 If you have a food processor, I would suggest using it; however, in my humble kitchen I was stuck with a blender and it got a little tricky. 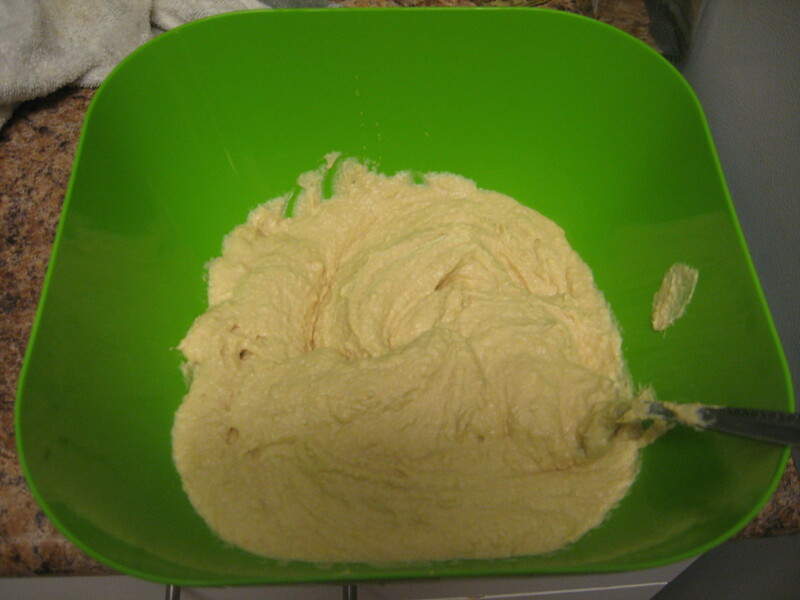 Transfer the processed mixture into a medium-sized bowl and give it a stir. Then add the salt, and dash of black pepper ad crushed red pepper if you’d like it on the spicy side. 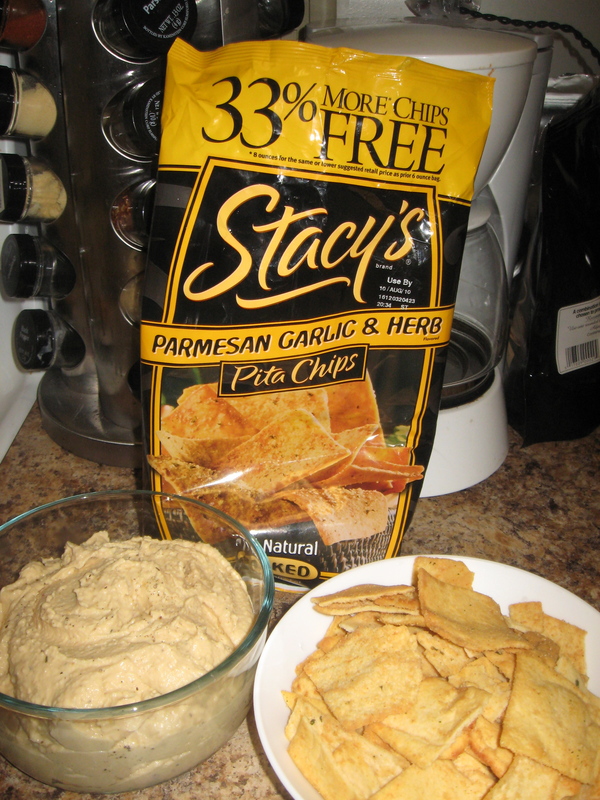 If you have any parsley around, garnish the humus with a sprinkle or two. Like I said above, please please please don’t hesitate to let me know what you would have done differently. 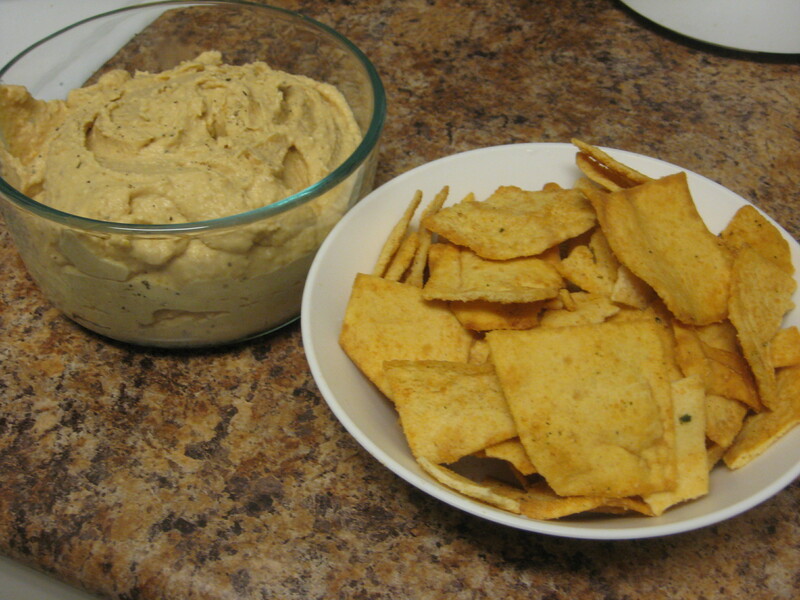 I’d love to get your thoughts and give my hummus recipe a second try! Another easy recipe from About.com’s Middle Eastern food section. This site also has links to videos about making hummus and making pita bread!